This is a photograph showing businesses in the Veale & Thompson block located at 617-627 Quincy in Topeka, Kansas. 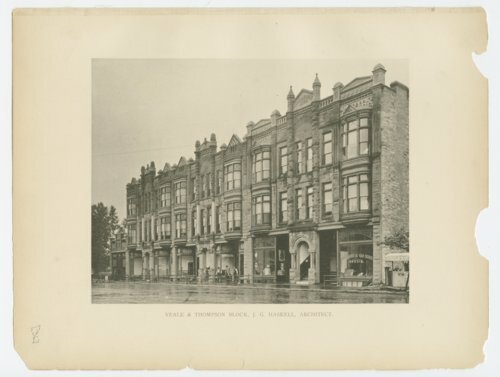 J. G. Haskell was the architect for the Veale & Thompson block. The illustration was removed from The Capital City published by Art Publishing Company.